Whilst the Australian mining industry is recognised globally for its focus on workplace health and safety, mining personnel are challenged with risks every day. Rockfalls threaten human lives, machinery and the portal structures for underground entry located at the toe of highwalls. Such hazards can also have profound financial consequences if production temporarily stops for safety issues. 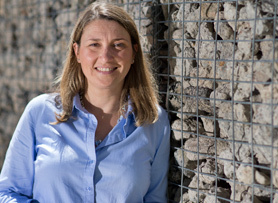 Anna has been working in Rock Mechanics and Civil Engineering for more than 12 years, having received her PhD from the University of Parma, Italy in 2003. In 2007 she joined the University of Newcastle as a research academic. Anna has enriched her extensive research experience in rockfall analysis and rock mechanics from civil engineering to mining, adapting to her new Australian environment. 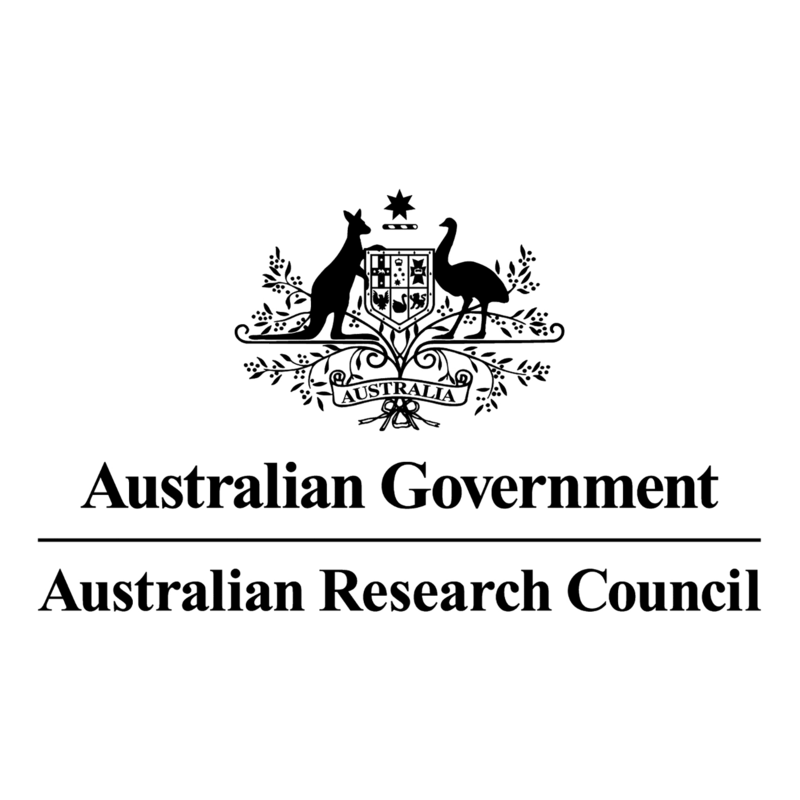 As the principal researcher of an Australian Research Council Linkage Project she helped develop new designs for barriers to protect valuable infrastructure, such as roads and railways, from rock fall hazards. 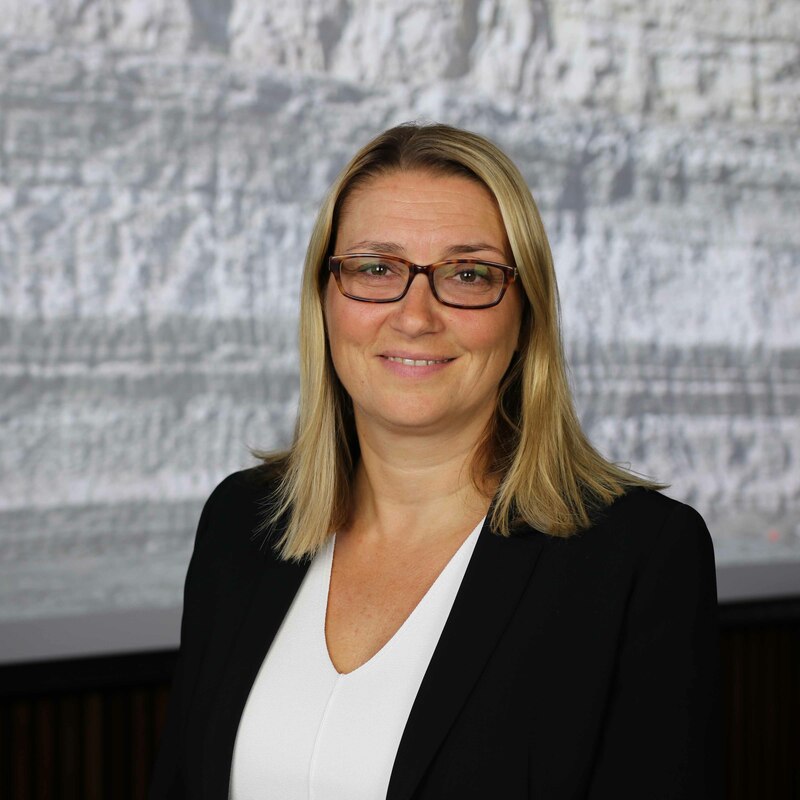 Her contributions to the field have been recognised by the Australian industry as she leads three major projects through the Australian Coal Association Research Program (ACARP) on rockfall hazard and mitigation. Anna's research focuses on these hazards and their impacts in open pit mines. Together with her team, she uses innovative full scale experimental testing, novel laboratory testing techniques and advanced 3D numerical modelling to provide a rigorous and comprehensive assessment of all the major components of rockfall hazard at a given mine site. "While each mine site is different and each highwall has different needs depending on the geological configuration of the outcropped rocks and how the highwall has been excavated, our numerical tool can be used at any mine," she explains. "We can provide mines with the information they need to manage the risk of rock fall at their particular site." "We can also give an indication of the residual hazard associated with rock fall drapery system protection measures and provide crucial information for the safe and effective design of portals and roads in open cut mines." Within her recently honoured ACARP project Rockfall Hazard matrix for Risk reduction in mine sites, supported by Rio Tinto and Glencore, Anna and her team are extending their rockfall hazard methodology with a new Evolving Rockfall Hazard Assessment methodology that incorporates field data, current analytical and numerical tools and cutting edge research developments in rock fall hazard assessment and zoning. These results will provide greater accuracy in locating personnel, machinery, and structures across work sites, thereby improving safety and reducing the risk of interruptions in production. While Anna's research has developed locally to understand the intricacies of the Australian environment, it is universal in scope and is potentially adaptable to many mining sites worldwide. Innovation in the mining sector cannot solely focus on technology, meaning Anna's work on processes and programs to improve safe work practices in dangerous worksites are valuable to industry and individuals. From 2012 Anna and her team of two post-doctoral researchers and four post graduate students used advanced experimental and numerical analyses to investigate the energy absorption capacity of waste rock (muck) engineered barriers in various surface mining applications. Data provided unique worldwide experimental evidence on the effect of dynamic impacts of trucks on safety berms and useful recommendations for a safer mining environment. This research is developing advanced numerical modelling which will allow the simulation of trucks running into windrows with a various range of velocities and approach angles (up or over 60km/hr). The outcome will provide more rigorous guidelines for windrows for haul roads enabling the mine sites to define speed limits with more confidence, and to adapt the design of windrows for various scenarios where trucks can potentially travel at high velocities. Anna's studies were recognised by University of Newcastle in 2013, awarding her the Pro Vice-Chancellor Research Excellence Award. In 2014, she was invited to become a member of the Computer and Geotechnics Editorial board. Her global expertise has also seen her supervise international masters and postdoctoral students, become an assessor for national and international funding bodies and review international journals in the rock mechanics and engineering field. Anna is a co-founder of HunterWiSE, a group dedicated to promoting and supporting girls and women in STEM. 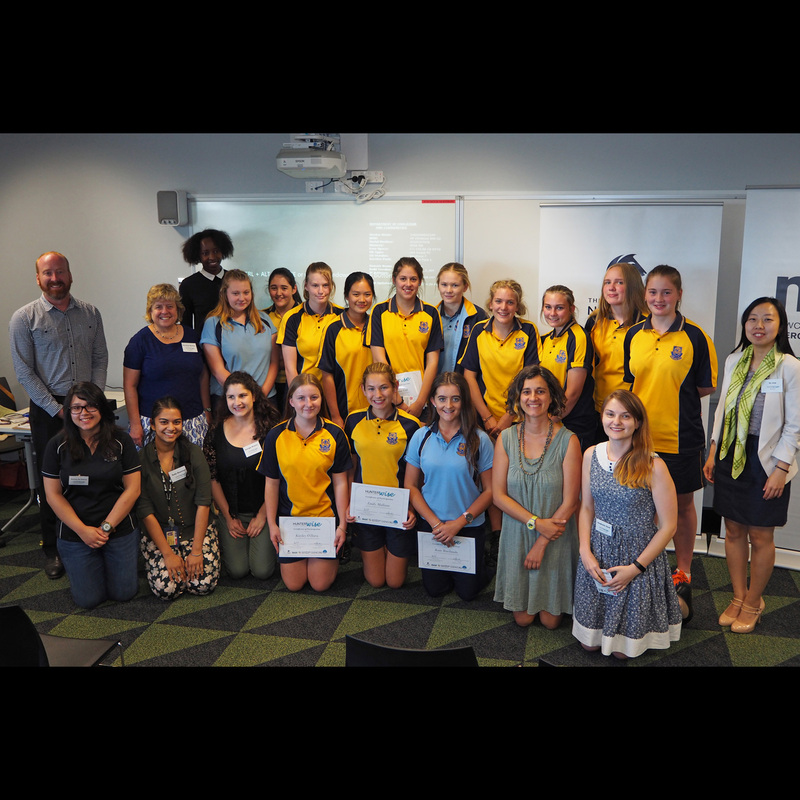 HunterWiSE features two interlinked actions aimed at increasing the number of girls and women participating in STEM through a school program and a series of networking events across the Hunter for women STEM professionals. This approach is designed to steer women toward STEM, and encourage their retention in the STEM pipeline. Dr Anna Giacomini is committed to innovating, promoting and improving safety in mining and civil environments. Dr Giacomini received her phD in May 2003 from the University of Parma, Italy. In 2002 she was awarded a four year research fellowship at the University of Parma. In October 2007 she joined the Geotechnical Research group at the University of Newcastle and she is currently a Research Academic and principal researcher in the Priority Research Centre For Geotechnical and Material Modelling , in the Faculty of Engineering and Built Environment. From 2009 to 2011 she was the principal researcher and the Industry Chief Investigator of an Australian Research Council Linkage project (ARC LP0989965) devoted to developing new designs for engineered barriers to protect valuable infrastructures, such as roads and railways, from rockfall hazards. Since 2009 she is the project leader of 3 ACARP (Australian Coal Associated Research Program) research projects to investigate rockfall hazards in mininig and other operational hazards. Dr Giacomini has a rich background and extensive research experience in rockfall analysis and rock mechanics for civil and mininig applications, which are her principal areas of research. Dr. Giacomini has obtained over $1,000,000 in funding, published 20 articles in international peer-reviewed journals and has presented her research over 40 times at international and national conferences. Dr Giacomini currently supervises 4 research higher degree PhD students and 2 post-doctoral fellows. In 2013 she was awarded the PVC Research Excellence for her demonstrated research excellence in the field and in 2014 she was invited to become a board member of the Computer and Geotechnics Editorial Board. Dr Giacomini has also been an invited reviewer for the international funding body MIUR (Italy), and many international journals in the rock mechanics and engineering fields. Experimental and Numerical Rockfall analysis. Stability of rock masses. Hydromechanical behaviour of rock joints. The following is a summary of my major research training and teaching: • Currently primary supervisor of 2 PhD students and co-supervisor of 2 PhD students (University of Newcastle) and 1 international PhD student (University of Bologna, Italy). Previously supervised 1 PhD student (completed in 2013). • Supervised Civil and Environmental engineering students to undertake research project (2009 - 2014). • Co supervised 10 international Masters Students (2008-2014) from the University of Milan, the University of Parma (Italy) and the University Joseph Fourier in Grenoble (France). • Co-Supervised 15 Civil Engineering Master Students (2000 - 2007) at the University of Parma, Italy. • Delivered lectures and tutorials for Geotechnics, Rock Mechanics and Slope Stability courses in the Civil Engineering Department of the University of Parma, Italy (2000-2006) • Delivered 15 hours of lectures in the Masters Research course “Rock Mechanics and Seepage in Fractured Rocks” at the Technical University of Bari, Italy (2003) • Delivered 60hrs lecture/year (2004-2006) in the course “Geotechnics for Territory Protection” in the Faculty of Engineering and Architecture at the University of Parma, Italy (course coordinator and solely responsible). • Delivered lectures and tutorials for the courses Geomechanics I, Geomechanics II and Geotechnical and Geoenvironmental Engineering at the University of Newcastle (2006-2011). • Co-Delivered a MOOC on Rock Mechanics and Mining Engineering for Open2Study Australia and the University of Newcastle (2013). © 2019, Springer-Verlag GmbH Austria, part of Springer Nature. The normal coefficient of restitution (NCOR) is a useful index to quantify the energy dissipation during impact. This study presents experimental tests of marble spheres impacting a plate. The effects of the sphere diameter, elastic properties of the plate, impact velocity, and repeated impacts on the NCOR were investigated. Three fracture phases were observed: no macrocrack, macrocrack, and fragmentation. A clear influence of the propagation of the macrocracks on the NCOR was observed. Macrocracks also cause increased NCOR variability. The cumulative damage caused by macrocracks can affect the propagation of macrocracks and fragmentation. In the no macrocrack phase, the NCOR decreases with increasing velocity and with decreasing diameter, and the velocity effect of the NCOR is also related to the size of the marble sphere. The proposed average rate of contact stress correlates well with the NCOR and can describe fully the velocity and size effects of the NCOR, which provides a simple way to consider the complex velocity and size effects in rockfall simulations. The dissipation caused by microcracks and viscosity can be considered simultaneously through the average rate of contact stress. The marble sphere NCOR decreases with increasing elasticity modulus of the plate, and this conclusion is verified by the elastic-perfectly plastic contact theory. Finally, viscoelastic contact theory is used to describe the NCOR, which proves that the decrease in the NCOR with decreasing diameter is reasonable and can be used to predict a decrease in the NCOR with an increase in velocity. © 2016 Informa UK Limited, trading as Taylor & Francis Group. This paper presents a new methodology for estimating the expected energies and first impact distances at the base of a rock cliff, subject to the geometry and properties of the cliff and the representative block being known. The method is based on a sensitivity analysis, conducted by means of kinematic simulations and carried out for a large range of input parameters and their combinations, taking into account the uncertainty associated with their estimate. The proposed approach is validated by comparing predictions to experimental data and shows great potential for a quick qualitative hazard assessment. © 2014, Springer-Verlag Wien. In rockfall science, the bullet effect refers to the perforation of a rockfall mesh by a small block traveling at high speed. To date, there is still no comprehensive experimental data set investigating the underlying mechanisms of such effect. 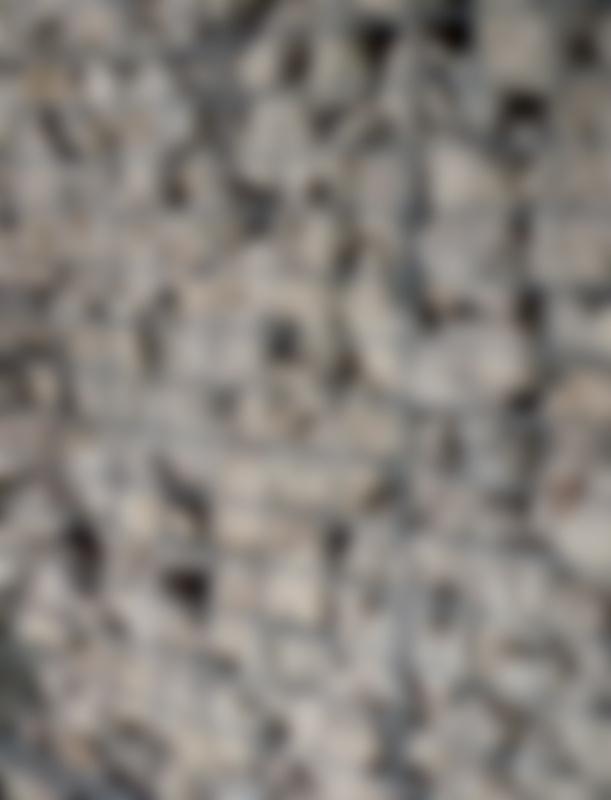 The bullet effect illustrates the fact that the capacity of a rockfall mesh depends on the size and speed of the impacting block. This paper presents the results of an experimental study on the effect of block size and mesh geometry (aperture and wire diameter) on the mesh performance. The results clearly show that the amount of energy required to perforate the mesh drops as the blocks get smaller. They also suggest that the mesh performance reaches a maximum and reduces to zero when the mesh cannot sustain the static load imposed by very large blocks. The outcome of the first series validates an analytical model for mesh perforation, making it the first simple model capturing the bullet effect. A second series of tests focused on the effect of mesh geometry and it was found that decreasing the mesh aperture by 19¿% improves the performance by 50¿% while only an extra 30¿% could be gained by increasing the wire diameter by 33¿%. The outcomes of the second series were used to discuss and redefine a dimensionless geometrical parameter G* and to validate a simple power type equation relating the mesh characteristics and the mesh performance. From a consideration of the concepts of geological weathering and structure, it can be expected that rockfall hazards should be characteristically different in different geological environments. This paper tests this idea by looking at the geometric characteristics of rock fragments formed on natural slopes in four different geological environments in Eastern Australia, where rockfall phenomena are often characterised by rolling of pre-detached debris. By measuring the three principle dimensions and making a systematic assessment of the shape characteristics of samples of rock debris in significant geological environments, it is found that the distributions of size and shape for the surface debris are statistically different. From the results, it is shown that the size and shape of debris is directly controlled by the rock type, its weathering characteristics and the structure of the parent rock mass. The severity of rockfall hazards is shown to be relatively lower in areas of Tertiary basalt, as the size of rolling fragments is limited by closely spaced fracturing inherited from its formation and the tendency to deteriorate further as it weathers deeply and rapidly. It is also lower in areas of Palaeozoic volcanics, since these tend to produce relatively angular fragments with higher proportions of fragments that are inherently more resistant to rolling. By contrast, thickly bedded sandstones form larger blocks with a larger proportion of shapes that are more prone to rolling. The size distribution of fragments is shown to be well approximated by a log-normal statistical distribution, and using the data provided in this study, it is possible to generate the size and shape data needed to undertake a stochastic assessment of rockfall trajectories in different geological environments. © 2013. This paper reports an analysis procedure for the evaluation of the features of the motion of blocks detaching from a steep rock wall and traveling down the slope below. Starting from the execution of real scale rock fall tests, carried out on two slopes having different morphology and lithology, the paper describes the methodology used for test interpretation and a procedure for the evaluation of the parameters best suited to the description of rock fall motion. The influence of the parameters assessed on the prediction of the rock fall trajectory was also investigated using two-dimensional and three-dimensional numerical models. These models were calibrated by means of a back analysis of the in situ tests, which also allowed the evaluation of the uncertainties involved in the parameters experimentally estimated. © 2018 Taylor & Francis Group, London, UK. Rockfall can cause loss of lives and significant damage to infrastructure and requires adequately designed protection structures to reduce the risk to an acceptable level. In Australia, rockfall draperies are more and more used as a passive protection structure although some research is still required to fully characterize the performance of draperies. Full-scale experimentation on rockfall drapery systems is very expensive and time consuming so that numerical methods are a useful and more economical alternative in order to better understand the behaviour of such systems. This paper presents a realistic 3D model of a chain-link drapery system developed with the commercially available finite element package of ABAQUS. The dynamic response of the system was simulated by incorporating the elastoplastic constitutive model in the explicit procedure of the solution. The developed model was calibrated by comparing the numerical results with the results of the laboratory-scale experiments. Preliminary results showed that the calibrated model was capable of predicting the system response with reasonable accuracy. In future, the model will be used in order to conduct parametric studies on different aspects of rockfall drapery design including slope material properties, number and spacing of anchors, impact energy, slope inclination, height of drapery system and block size. © 2018 Taylor & Francis Group, London, UK. Reliable prediction of shear strength for engineering scale in-situ discontinuities is still problematic. There is currently no consensus or a satisfactory method to estimate shear strength, account for surface variability and manage the effects of the recognised ¿scale effect¿ phenomenon. Shear behaviour of a discontinuity rock mass greatly depends upon the rock joint roughness, which is generally concealed within the rock mass. As such, the limited amount of accessible surface information complicates even further the exercise of shear strength prediction. Often, small size specimens (e.g. rock core) are recovered to conduct experimental tests and predictions can be made from analysing traces. In this paper, three different shear strength prediction approaches were followed and their relative performances were compared. The results reveal that the prediction of shear strength from recovered sub samples can be significantly variable. The application of Barton¿s empirical model to four selected traces, produced a large scattering of results, with the prediction highly dependent on the trace used. Conversely, the application of Casagrande and co-workers¿ stochastic approach on the same traces, produced the least scatter and provides statistical data to quantify variability and uncertainty. This paper investigates the factors affecting the shear strength of granular materials by means of the tilt box test. The test involves the titling of a specifically designed split-box and measuring the angle at which the upper half of the box slides off. This angle can be interpreted as the peak friction angle of the sample for a low stress state. Experimental tests and numerical analyses using the Discrete Element Method (DEM) are carried out and compared. The study is carried out for two different materials, a rounded and an angular aggregate. It is shown that rolling resistance is needed to match the experimental results if only spheres are used but this is not the case for non-spherical particles. © 2015 Taylor & Francis Group, London. This work consists of a preliminary numerical study on the impact behaviour of rock blocks on muckpiles using the Discrete Element Method (DEM). A contact law using a linear hysteresis model for normal contacts and a Mohr-Coulomb model for tangential contacts is used. In addition, two dissipative laws are introduced consisting of a moment transfer law and normal viscous damping law. One of the aims of this study is to investigate if the contact law enables a realistic modelling of the rebound characteristics of a block during impact on a muckpile. A parametric study is carried out in order to investigate the influence of the constitutive model parameters and the presence of clumps. Numerical predictions are compared to experimental results. It is shown that clumps in the muckpile are essential to reproduce realistic results. © 2015 Taylor & Francis Group, London. © 2015 by the Canadian Institute of Mining, Metallurgy & Petroleum and ISRM. Numerical simulation of collapse of tunnels in weak rocks is one of the challenging problems in rock mechanics. Collapse can impose technical and financial difficulties during the construction of underground excavations. This phenomenon, particularly in shallow excavations, may lead to propagation of a caved zone toward the surface and formation of chimney subsidence. Chimney subsidence has numerous catastrophic consequences such as the adverse environmental impacts and damage to surface structures in vicinity of excavations. Due to the importance of subsidence in civil engineering, the main goal of this study is to propose an appropriate method for preventing the formation of subsidence in shallow tunnels in weak rocks. The Dolaei road tunnel is investigated as a case study, where a large chimney subsidence has occurred. The geology of the area and the geostructural characteristics of the rock mass surrounding the tunnel are briefly reviewed in this paper. Two-dimensional as well as three-dimensional numerical simulations are conducted to study the tunnel stability. Moreover, the effects of staged excavation and pre-supporting method on controlling the ground movements are studied. Outcomes of this study indicate that employing forepoling and staged excavation can be a practical remedy to control the ground movements and prevent the formation of chimney subsidence. This paper presents a discrete modelling approach which allows the simulation of rockfalls behind drapery systems. The falling rock is represented by a rigid assembly of spheres whereas the slope is represented by triangular elements. Energy dissipation during impact on the slope is considered via friction and viscous damping. The drapery is represented by a set of spherical particles which interact remotely. The numerical model is used to investigate the efficiency of a drapery system. Various simulations with two different block sizes are performed and the numerical predictions of simulations with drapery are compared to simulations without drapery in order to assess the performance of the protection system. The paper investigates the soil-structure interaction between a clay embankment of the new high speed railway network Milan-Naples (Italy) and its clay foundation reinforced with different length driven concrete piles and geotextile. The embankment has been placed next to the old railway line. A monitoring system has been installed in a section of the embankment from the beginning of the construction of the new line. Numerical simulations describing both the old and new embankments (for a given section) have been carried out, by using Abaqus computer code, in order to back analyse the monitoring data. The analysis has been carried out in effective stress conditions, referring to long term conditions, to analyse the engineering problem to reduce the final embankment settlement. The results of the numerical simulations put into evidence that the model can reproduce the experimental data regarding the settlements below the new embankment and the interaction between the new embankment supported by piles and the old railway line embankment. © 2007 Taylor & Francis Group. Engineer and leader in the field of geotechnical rock mechanics, Associate Professor Anna Giacomini, has been honoured with a 2019 John Booker Medal for her exemplary contributions to science and engineering. The HunterWiSE 2017 Pilot Program culminated in a final presentation on Wednesday the 1st of November.